Don’t miss out on the most festive event of the year at Doheny State Beach! Bring your family and friends to celebrate Halloween in a fun and safe environment with good ole fashioned spookiness, arts and crafts, a fun zone, carnival games, a spooky walk and an array of educational booths. Cost: This a FREE event; however, a donation of one non-perishable per person is greatly appreciated. Don’t’ forget to dress up those little ones! 15 ethnic streets with 42 food and alcohol booths. Food and alcohol booths are run by local non-profits with all proceeds going directly back to them. Handmade Arts and Crafts section featuring local artists and their crafts. Community Booth section showcasing local non-profits and the causes they support. Commercial Section featuring local companies promoting their businesses. A street dedicated to kids with crafts and games. 8 Stages of entertainment featuring local bands playing ethnic music and your favorite songs. Robotics by the Sea at Cabrillo Marine Aquaruim is a FREE action-packed day, great for technology enthusiasts, science fiction fans, and ocean explorers of all ages. Members of local high school robotics clubs will be at the aquarium demonstrating remote control robots they’ve fashioned. Watch as the robots maneuver on land and in the water, and take time to ask students questions about their inventions, technology and plans for future innovations. This is also your chance to learn more about underwater ROVs (Remotely Operated Vehicles) and how scientists use ROVs to explore the ocean. See an underwater ROV demonstration and test your driving skills by maneuvering an ROV through an obstacle course. There will also be robot-related arts and crafts to help jumpstart your imagination and ingenuity. Heritage Hill Historical Park celebrates Rancho Days Fiesta. 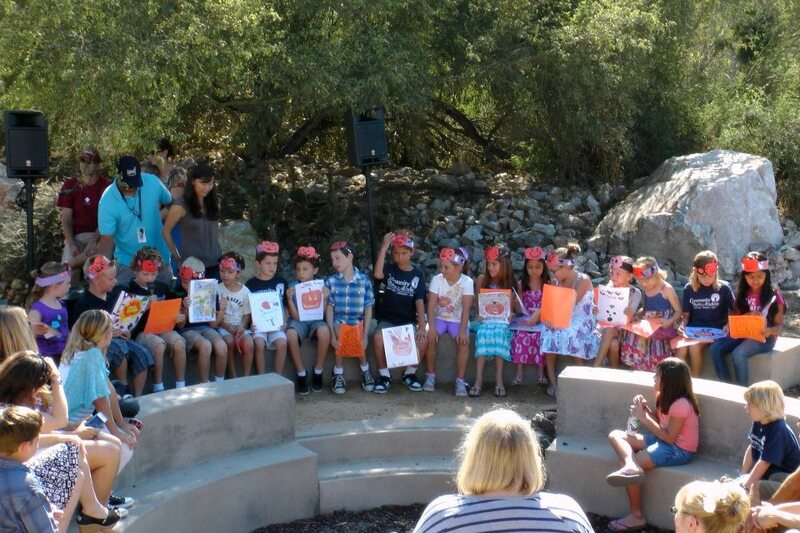 Come explore the rich history of Orange County’s ranchos and native American tribes! Visitors will experience the past through music, dance, crafts, food, and first-person presentations. All of the historic buildings will be open for tours, courtesy of the Amigos de la Colina docents. All tickets will be sold at the gate on the day of the event only. Join the Turkey Extragavanza at Tustin Library on Wednesday, November 26, 2014 from 11:00 am – 12:15 pm for FREE fun Thanksgiving Crafts, treats and more! Time: 11:00 – 12:15 p.m.
On Saturday, November 22, 2014, Watch the Magic Unfold at The 29th Annual Elves’ Faire. Pasadena Waldorf School is getting ready for another beautiful, magical Elves’ Faire! This FREE event is created each fall through the creativity, passion, and dedication of the PWS parents, staff, and faculty as a gift to the greater community. Activities will include: Arts & Crafts, Games, Puppet Show, Storytelling, Elves’ Forest Photo Studio, Music and a Pixie Party. 3 days, 3 great family fun events at MOLAA that encourage art, history and the traditions of Dia Los Muertos. All events are free for kids ages 12 and under. MOLAA is exclusively dedicated to modern and contemporary Latin American art. 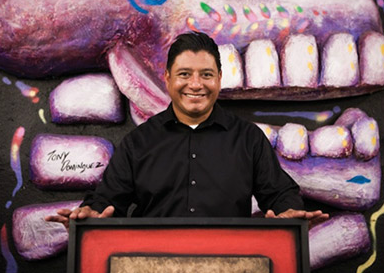 On Wednesday, October 29, 2014, learn how to make a Calavera Mask from Artist, Tony Dominguez. 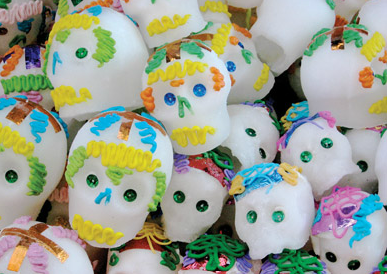 On Thursday, October 30, 2014, join in on a Sugar Skulls Workshop. 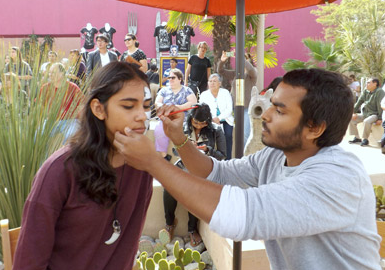 On Friday, October 31, 2014, drop in for Dia De Los Muertos face painting and Arts & Crafts. There is ample free parking adjacent to the Museum. 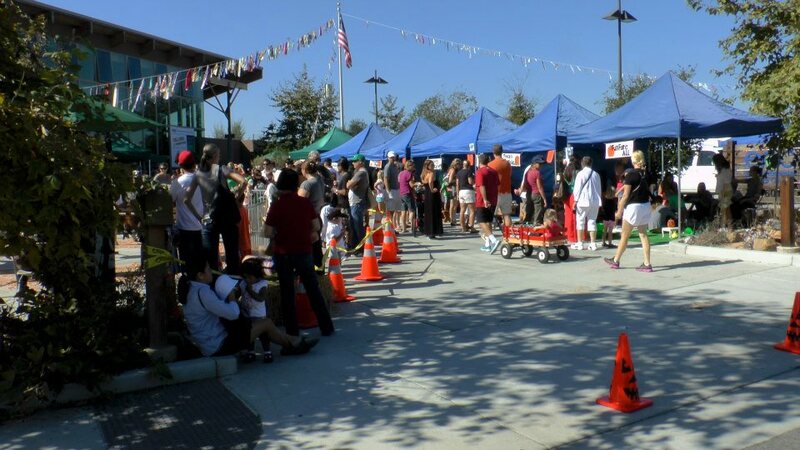 The richness and diversity of the sea, combined with fun-in-the-sun games and hometown spirit, can all be found at Cabrillo Marine Aquarium’s Autumn Sea Fair on Sunday, October 19, 2014 from 10:00 a.m. – 3:00 p.m.
Don’t miss the opportunity to stop by and chat with more than two dozen marine-related organizations that will be present to share their information and activities with you; or visit one of our artisans and check out their beautiful and unique hand-crafted pieces of art. Enjoy live music playing throughout the day; experience the unique jazz stylings of Harold Greene on the Chapman Stick; the Japanese Drum group Kokoro Taiko and the smooth sounds of Stucco Rainbow. Join us for this annual celebration of marine life and community spirit. Autumn Sea Fair is a FREE event. We were just at Balboa park a couple of weeks ago can I just say I love this place! Yes, the day was beautiful and the company was fantastic but really this place is mesmerizing. The buildings boast beautiful architecture, the Koi pond was filled with lily pads and baby Koi, the gardens are gorgeous and the Botanical Building was so tranquil. 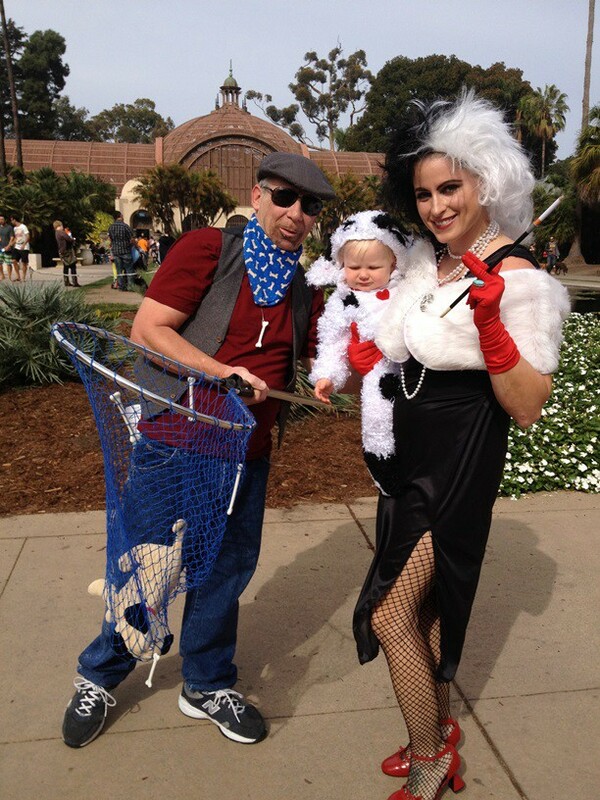 So I was super excited to see this family Halloween event, Balboa Park Halloween Family Day. 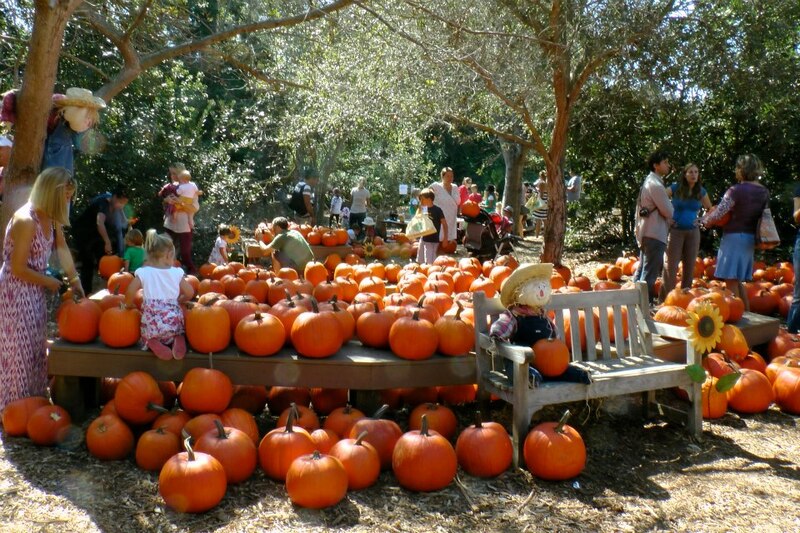 Balboa Park Halloween Family Day offers Free Treats, Including Free Kids Admission. Families can kick off their Halloween celebrations with a spooktacular array of free hands-on activities and free admission for kids 12 and under with paid adult at the annual Balboa Park Halloween Family Day on Sunday, October 26. Over two dozen participating museums and cultural attractions throughout the Park will present creepy craft projects, scary gallery tours, spine-tingling storytelling, costume parades and contests, and other fun surprises from 11:00 a.m. to 3:00 p.m. Adults can also receive best-value admission when purchasing the Balboa Park Explorer One-Day, Multi-Day, or Annual Pass. Highlights of this year’s park-wide Halloween Family Day include mini-carnival games and costume contests for prizes hosted by San Diego Park & Rec., a doggie costume contest in the Spanish Village, the San Diego Air & Space Museum’s annual rooftop pumpkin drop, a free children’s concert and activities in the Spreckels Organ Pavilion, and free activity and prize-drawing booths on the Prado and in the Plaza de Panama. Please see below for a complete listing of all the activities scheduled for the October 26 Family Day. For updates, visitwww.balboapark.org/halloweenfamilyday. House of Pacific Relations International Cottages: Open houses and trick-or-treating at select cottages from noon to 4pm; House of Scotland Lawn Program at 2pm. Japanese Friendship Garden: Halloween-themed crafts (including origami), story-time, and “Taste of Japan Food Fest!” featuring cuisine from different Japanese food vendors; picnicking in the newly opened portion of the garden expansion. Marie Hitchcock Puppet Theater: Free puppet-making activity for children accompanied by an adult from 11:45am until 1pm show; show ticket not required for this activity. Mingei International Museum: Children 12 and under free with paid adult. Museum of Photographic Arts: Special Halloween sunprint craft for all ages, using photographic paper, Halloween-themed cut-outs, and sunlight to create spooky designs. Reuben H. Fleet Science Center: Halloween-themed science activities in Kid City for toddlers 5 and younger; FrankenToys inventing activity in the Tinkering Studio for kids of all ages. Kids 12 and under free with paid adult for gallery admission only. San Diego Air & Space Museum: Ghost rotor making activity (paper helicopters with a Halloween twist) at 11:30, 12:30, and 1:30; rooftop pumpkin-dropping experiment at 2:30pm; kid-friendly short films in 3D/4D movie theater; and Kid’s Aviation Action Hangar all day (simulators not included). Discounted admission price of $5 to see the Ripley’s Believe It or Not! special exhibition. San Diego Automotive Museum:Spooky gearhead hat-making activity for kids; car monster creating craft. San Diego Junior Theatre:Addams Family musical theater performances for ages 10 and up (October 24 – November 9). San Diego Model Railroad Museum: Halloween-themed games, crafts, and trains aboard the Haunted Express. San Diego Museum of Art:“Mask and Costume”Search and Find handout to guide families on a hunt for artworks in the collection that feature masks and costumes. San Diego Museum of Man: “Monsters” exhibit, exploring forests, caves, and deep dark seas in search of fantastical creatures;hands-on monster creating activity. Kids 12 and under FREE with paid adult for general admission only. San Diego Youth Symphony and Conservatory: Free open orchestra rehearsals (classical melodies) on the 2nd floor of the Casa del Prado building, rooms 207 & 205, 1pm–5pm. San Diego Zoo: Free admission to all children through 11 years of age, regardless of adult ticket purchase. Part of “Kids Free Month” (October) promotion. Spreckels Organ Society:Special Family Festival Day programming during the free 2pm organ concert, geared especially for young audiences; kids activities in the Organ Pavilion 1:30pm-3:30pm hosted by the Spreckels Organ Society (mask-making), Girl Scouts (free drawings for toys and cookies), the San Diego Choristers Guild (pick and play an instrument), Classics for Kids, Ana-Tommy, and others. Costumes welcome! Timken Museum of Art:Family Activity Flyerto guide families on a fun-filled gallery tour. Free admission for the entire family! UNA International Gift Shop: Free Trick-or-Treat for UNICEF box to take along whiletrick-or-treating to benefitchildren around the world who need clean water, food, school supplies, etc. ; one free national flagto take home(while supplies last). Fiesta del Reyes/Old Town State Historic Park:“Wheel of Fortune” prize-wheel spinning contest on an ornate 1800s replica prize wheel to win coupons and prizes from the Fiesta de Reyes shops and restaurants located in Old Town San Diego State Historic Park. Girl Scouts San Diego: Magnet decorating activity for girls and boys; prize-wheel spinning to win toys, cookies, and more (in the Spreckels Organ Pavilion). House of Pacific Relations International Cottages: Information on the House of Pacific Relations, the national cultures it represents, youth programs, and year-round events. Marston House & Gardens: Dia de los Muertos paper mask-making craft; free vintage circa 1900 Halloween postcards and museum coupons (while supplies last). San Diego Park & Rec: Various mini-carnival games with prizes and Halloween costume contests in multiple age categories throughout the day starting at 11:30am; prizes for first, second, and third place. The Old Globe: Info on How the Grinch Stole Christmas! performances and an opportunity to win a Family 4-Pack to the show. RH Fleet Science Center:Slime-making activity to learn about slimy creatures like sea cucumbers, snails, and hagfish. San Diego Civic Youth Ballet:Crown-making craft; see-and-touch props display and costumed characters from The Nutcracker. SDG&E: Information about energy-saving solutions to help families get rid of “energy vampires”; activities for kids. San Diego History Center:“Scent-sing San Diego” activity to learn how much your nose doesn’t know about San Diego’s past. San Diego Junior Theatre:Addams Family-themed booth, complete with costumes and a photo opportunity, in conjunction with the Addams Family theater performances at SDJT. 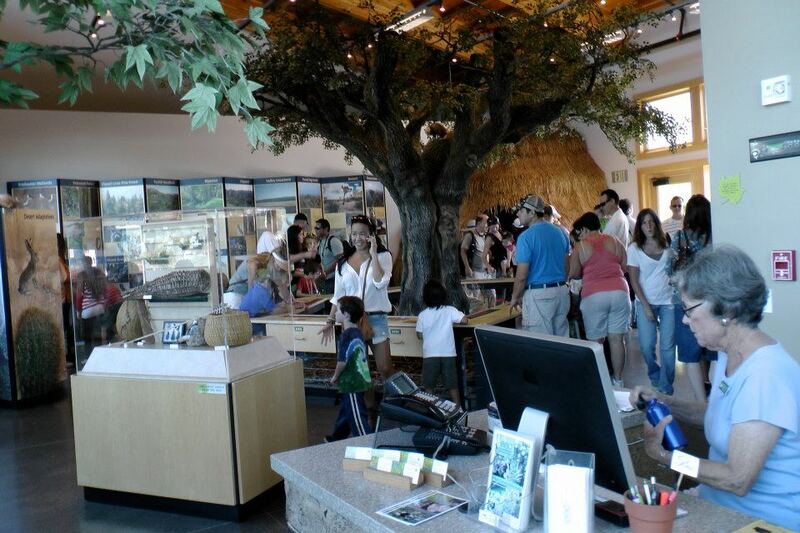 San Diego Natural History Museum: Halloween-themedinteractive activities for kids. San Diego Public Library:Face painting, Halloween crafts, library card applications, and info on the many free educational and cultural resources at 36 library locations throughout San Diego. San Diego Zoo:Live zoo animals and free pins, decals, magazines, and Halloween candy for everyone. Timken Museum of Art: Mask-making activity in conjunction with the SD Junior Theatre Addams Family costume booth activity. Worldview Project: Free exotic snacks from faraway places (while they last), culture quiz to see how much you know about world cultures; and a “Been There, Want to Go There Next” activity for the whole family.